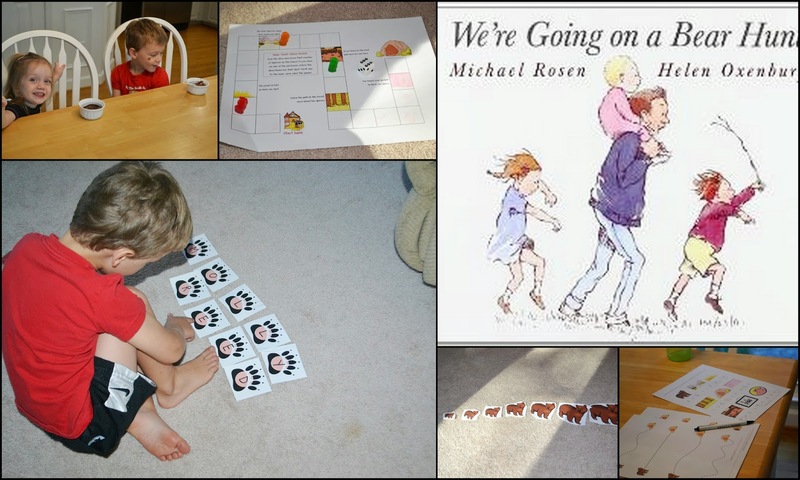 We loved reading Michael Rosen's We're Going on a Bear Hunt! We had a fun week playing with gummy bears and paw print letters, practicing sequencing and ordering, and making mud pudding (squelch squirch!) and cold river jello. :) We found a video online of Rosen performing his story, and R and M both wanted to watch it over and over! 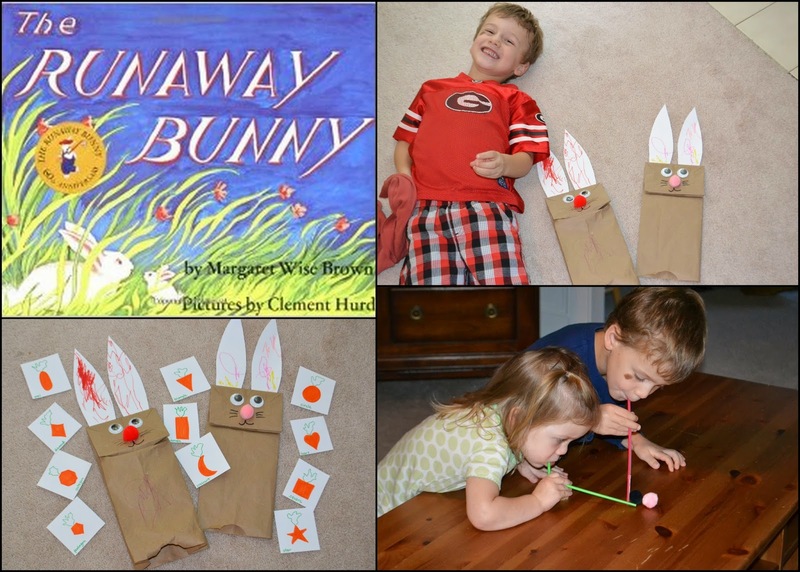 Next we read the classic The Runaway Bunny by Margaret Wise Brown. I knew of this book, of course, but wasn't vey familiar with it until we rowed it. I love this book! The little bunny's personality reminds me of Reed and Molly. :) I only took pictures of the kids blowing bunnies and practicing shapes with our bunny puppets. We also did our fishing puzzle, and compared the art work to Goodnight moon. (Did you know that there are shout-out illustrations in each book to the other?) :) We talked a lot about how God's loves for us is like the mother bunny's love for her little bunny in this book. What a deep, rich truth!